Will Lehr of Perpetual Assets speaks with Jim Willie of GoldenJackass.com. Sign up for Jim’s Hat Trick Letter for the inside scoop! Join us for over an hour of discussion on the last several decades of US policy and the unintended consequences of attempting to prolong the inevitable demise of the Petro-dollar standard. We discuss the abandonment of the gold standard, outsourcing of industry, the little-known Chinese gold lease, QE, Ukraine & Iran, post Lehmann bank conglomeration, German gold repatriation refusal, NSA espionage, Banker murders, and prosecution of PNB, Credit Suisse, & Deutsche Bank. Silver and the Approaching Endgame, Perpetual Assets interview with Bix Weir of RoadToRoota.com. Breaking- SEC lays regulatory law to freeze Money market withdrawals during time of financial stress. We are truly in the eye of the storm, which began in 2008. We discuss the end of the silver fix and derivatives. $200+ Billion oz of paper silver bought & sold every year!? Physical in your hands is the safest bet. 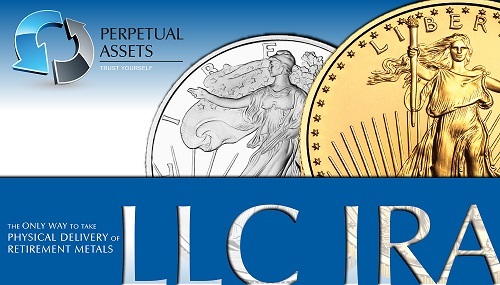 How to convert your IRA into physical silver eagles, in your hands! It was nearly five years ago when Zero Hedge first wrote: “This Is The Government: Your Legal Right To Redeem Your Money Market Account Has Been Denied” in which we predicted as part of the ongoing herding of investors away from every other asset class and into stocks, regulation will be implemented to enforce that “money market fund managers will have the option to ‘suspend redemptions to allow for the orderly liquidation of fund assets” or in other words implement redemption “gates.” The logic: spook participants in the $2.6 trillion money market industry with the prospect of being gated (i.e., having no access to ones funds) and force them to reallocate funds elsewhere. Moments ago the gates arrived, when following a close 3-2 vote (with republican commissioner Piwowar and democrat Stein dissenting), the SEC adopted new rules designed to curb the risk of investor runs on money market funds, capping the end of a years-long heated debate between regulators and the industry dating to the financial crisis according to Reuters. It is finally happening in full view, in unmistakable manner, in a way that the awake, the aware, and the conscious can perceive in alarming stunning terms. The central force of Europe, the industrial juggernaut, the stable core, has begun to pivot East. The Germans have had enough, fed up with destructive US activities of all kinds. For the last few months, they have been laying out their indictment, their justification, their reasons to abandon the corrupt US-UK crowd. The bank wreckage, the market rigging, the endless wars, the sanctions which backfire, the sham monetary policy, the economic sabotage, the spying, the gold gimmicks, it has finally reached a critical level. Germany has begun to move East in full view. Only the deaf dumb and blind cannot notice, and they will probably never notice. They are fodder. The awaited signals seen by the Jackass have finally arrived. The grand stage leans East for the European players, with steps taken to the right, the weight having shifted, the messages suddenly more angry, more filled with disgust, more loaded with open confrontation. The commercial forces aligned with Russia are coming to the fore. The departure after a recent re-election by Chancellor Merkel should serve as the final slam of the hammer. She stood in the wrong camp, the banker and politician camp. They do not run Germany. It’s time to get REAL about the fraud that has been going on at the DTCC and in brokerage houses around the world. THEY ARE NOT SETTLING TRADES! It is estimated that over 70% of all paper instruments held in investment accounts have multiple owners or are phantom shares. I would put that number at 90%+! When you really think about it why would you have one penny “invested” in a 401k, IRA, Stock, Bond, Mutual Fund, etc. The brokerage houses are NOT going out and legally securing the rights to the stocks they claim to hold for you. Think hard about it…billions of financial instruments are “High Frequency Traded” in milliseconds and with a finite amount of shares and certificates issued by public companies it is YOUR SHARES that are getting traded. On average it takes 5-7 days for the total amount of shares of a company to trade hands even though very few “investors” are daily traders. On more active days over 100% of a company share float is traded in a SINGLE DAY! Meaning somebody claimed ownership of YOUR SHARES and sold them to somebody who thinks they own the same share of stock that YOU DO.